I help lead a non-profit called National Builders Guild aka NBG. One of the missions of the organization is mentoring and training young black men to be leaders in their community from a base of high ethics. As part of my responsibilities, I interview candidates that aspire to join and check their character references. A few weeks back, I was given a list of references for a young man by the name of Elijah Shuler. He was 22 years old and had done some time in prison but had been recently released and was looking to make a change. While in process of checking his references, he came up missing. His mother said he left for work one evening and after a couple of days he had not returned home and there had been no communication. She contacted the authorities, hoping that they would assist her in finding her son. After week two, and hearing no word from the authorities, friends and family began to pass out flyers in the surrounding neighborhood. A lead came in from the flyers on an abandoned car that fit the description of the one Elijah drove. The mother and a close friend of the family went to the site to check it out. Upon confirming that it was Elijah’s car, they notified the police. In the meantime, the mother and friend inquired with the residents near where the car was found as to how long it had been there. The car had been there for two weeks. Near the house where the car was parked, there was an extremely foul order coming from the woods. The friend helping Elijah’s mother asked the home owner if he could go investigate the smell. An hour had passed since the initial call for police and no authorities had arrived on the scene. As you have probably assumed, the foul odor was Elijah’s decaying body that had been dumped in the woods. Considering his pass and the company he used to keep, it is suspected that his past caught up to him in a horrible way. All this reeks of yet another scene of a black on black crime. Upon finding the body of Elijah Shuler, the residents began calling the police themselves. By accounts of people present, it took an additional two hours before the authorities finally arrived. Black lives first have to matter to black people. There needs to be more gathering at the dinner table than gathering at the court house. There needs to be more rallying in the living room than in the streets. 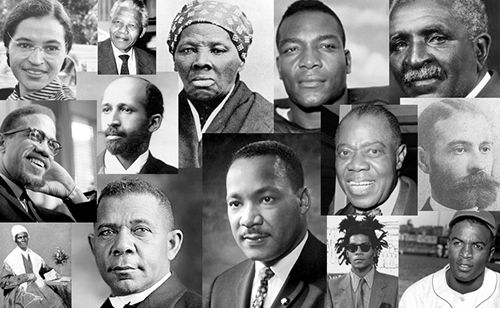 The black race does not need another “Great one” to lead them. Instead, the ordinary black man needs to love himself. He needs to love himself in the black people around him. He needs to love his sister, cherish his wife and daughter, and honor his mother. He needs to love his brother, reverence his father, and raise his sons. He needs to focus his energy on casting down the enemies within, the self-hate, the low self-esteem, the ignorance and the false identity given to him from his oppressors. He needs to embrace the wisdom and counsel left by the “Great ones” that have already passed through. He needs to return to the universal laws of the Creator and become identified again with his divine roots as an offspring of God the Father through Yeshua the Messiah. Then the enemy outside will be of no consequence, then and only then will he be Free At Last. This entry was posted in Christianity and tagged Civil Rights, Family, freedom, Heritage, liberty, Revolution, Social Responsibility. Bookmark the permalink.